Editor's note: an earlier version of this story was not correct in its reports due to a misunderstanding. 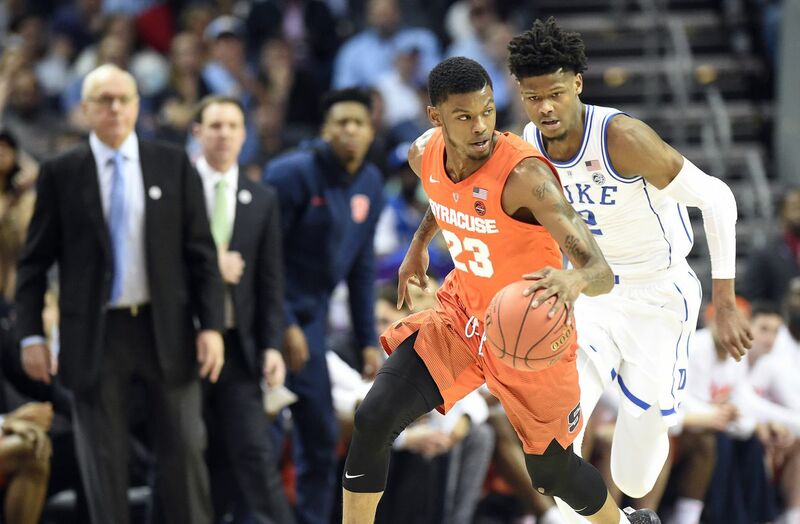 Syracuse, NY – ACC will not offer a public comment on any potential disciplinary action against Frank Howard of Syracuse for his alleged journey of Duke's Zion Williamson. In the first half of the teams' game in the ACC quarter-final Thursday night, Williamson stumbles upon Howard in outstretched right foot . After the game, Howard denied attempting to stumble Duke on purpose. Syracuse coach Jim Boeheim also defended Howard's actions. For his part, Williamson said he had not noticed anything negative about Howard's actions on the game. "Honestly not," he said. "He was brought to my attention, but honestly no, I didn't notice." ESPN analyst Jay Williams harshly criticized Howard for intentionally attempting to frame Williamson. Syracuse ended up losing the game against Duke 84 -72. Howard scored 28 points, while Williamson scored a 29 game. Syracuse awaits the NCAA Selection Show on Sunday to find out where it will be seeded in the NCAA tournament. Jim Boeheim: " I think we can be an excellent tournament team, better than we were last year. "